Welcome to the Tri-Cities Rocketeers (TCR) website. We are affiliated with two national organizations: the National Association of Rocketry (NAR) and the Tripoli Rocketry Association (TRA). Our club serves the Tri-Cities Washington area and is open to all ages and skill levels. We have a standing 10,000' waiver and hold single and multi-day launches at the Heinen Sod Farm throughout the year. Exciting World of Model and Sport Rocketry! Want the latest club news? click the link above and join in the discussion! 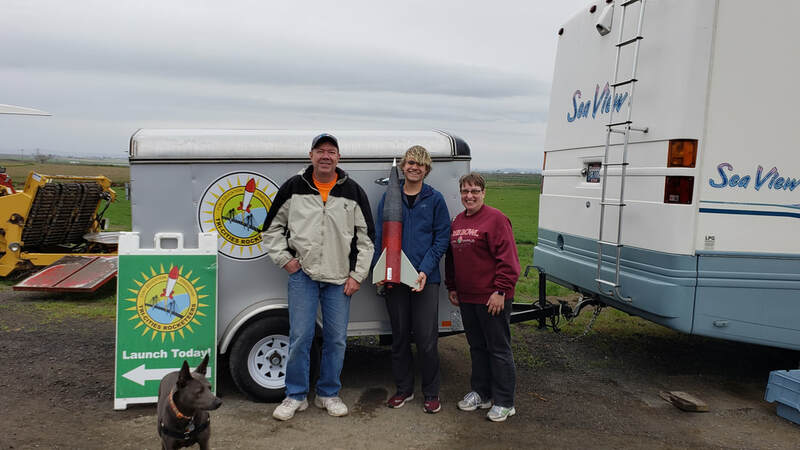 congratulations UW Society for Advanced Rocket Propulsion L1 cert for Patrick - great flight!